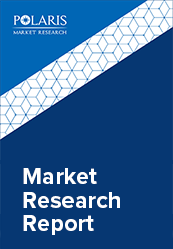 The global theranostics market size was estimated at USD 6.22 Billion in 2017 and is anticipated to gain significant traction over coming years. Theranostics is deliberated as a combination of the drug as well as diagnostics therapy. Theranostics aids in enhancing operative outcomes, streamlining, and safety of overall drug development. The combination of effective medical drugs and advanced diagnostic tests has been given a number of names such as Dx/Rx partnering, pharmacodiagnostics, companion diagnostics, and integrated medicine. Continuous research activities in these areas are contributing broadly towards the market growth, as this is considered as the vastly emerging field and is anticipated to spawn robust growth opportunities from regulatory the healthcare industry. The global Theranostics market is driven by the enhanced co-operation between drug manufacturers as well as diagnostics companies. This factor is anticipated to fuel the market growth during the forecast period. Additionally, the operative communication with surgeons and specialists in order to know the theranostics dispersion in the market is likely to result in an enhancement in the global market. Moreover, the increasing number of strategic merger and acquisition are anticipated to boost the growth of the global theranostics market in the forecast period. However, the factors such as monitoring timelines and the high cost associated with theranostics are the aspects hindering the global theranostics market. Nevertheless, the presence of leading key players accentuating on the theranostics with approved drugs is expected to play a vital role in accomplishing the needs of pharmaceutical companies. The global Theranostics Market is segmented on the basis of disease type, technology, and geography. On the basis of disease type, the global theranostics market is segmented into Neurological Disorders, Cardiovascular Diseases, Oncology Disorders, and Immunological Disorders. On the basis of disease type, the oncology segment is anticipated to boost the theranostics market growth. Increasing cancer cases and theranostics potentials to make effective cancer care are the factors associated with the market growth. On the basis of technology, the global theranostics market is segmented into Polymerase Chain Reaction (PCR), In-situ Hybridization, Immunohistochemistry, and sequencing. In 2017, the PCR is anticipated to dominate the market growth. The existence of a robust evaluate assortment in terms of polymerase chain reaction (PCR) is accountable for the larger market share. In terms of geography, North America is estimated to dominate the global Theranostics Market. Presence of a large number of key players and increasing strategic partnership in this region is one of the major factors for the growth of the market in North America. Moreover, increased government support and augmented research and development of combined medicine in the U.S. as an implication of active participation of monitoring organizations are anticipated to boost the market growth during the forecast period. However, Asia Pacific is anticipated to dominate the global theranostics market during the forthcoming decade. Advancement in technology and rising demand for the pharmacogenomic testing is anticipated to enhance the theranostics market growth in the Asia Pacific during the forecast period. Major firms are focusing on small firms with a working methodology of securing the end goal to manage position in the market and are associated with mergers and acquisitions, key joint efforts, and novel item advancement to pick up profit share in the business. Some major key players in global Theranostics Market includes F Hoffman La Roche, Thermo Fisher Scientific Inc., GE Healthcare, Agilent Technologies, Qiagen NV, Foundation Medicine, Leica Biosystems Nussloch GmBH, and Pfizer, Inc. among others.